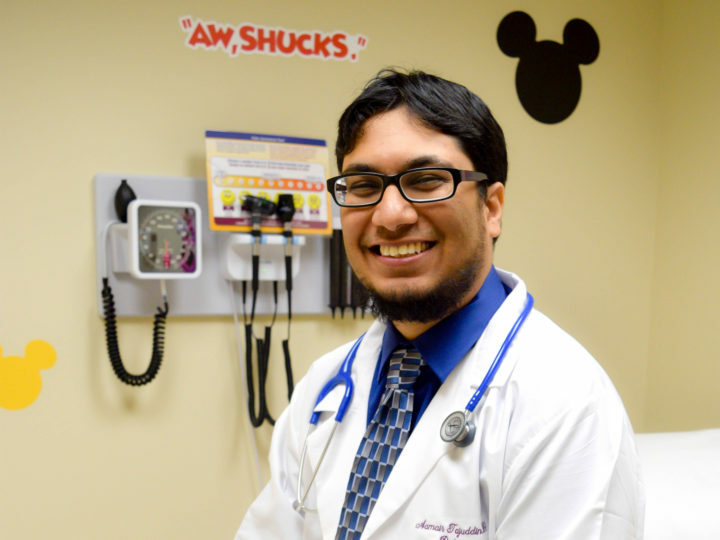 Dr. Shaily Macker has always wanted to make a difference in people’s lives. 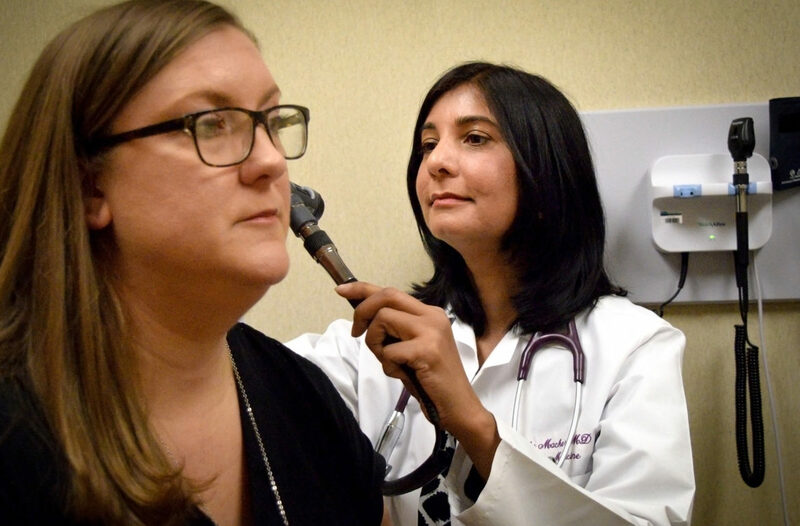 Factoring in her family’s interest in medicine and her own love of teaching, it was only natural that Dr. Macker found her calling as a board-certified family medicine physician. Her job, by nature, keeps her on her toes, but she feels she is rewarded in having meaningful relationships with her patients and having the opportunity to keep them healthy. As part of our Provider Spotlight series, we invite you to learn more about Dr. Macker who cares for patients at the Morris Hospital Yorkville Campus. Q: How many years have you been practicing medicine? A: I have been practicing medicine for about 13 years now since I finished residency from Akron General Hospital in Ohio in 2005. Q: What motivated you to become a physician? A: I always wanted to do something that would make a positive difference in people’s lives. I like science, the human body always fascinated me. While I was growing up my family was into health and science. My dad was interested in homeopathy and Ayurveda, which are very popular alternative medicine branches in India. His interest and my family’s inclination towards medicine and healthy living gave me a base to what I am today. I was also inspired by my two aunts who are physicians. I was bright and was blessed to get this opportunity to practice medicine. It’s really rewarding and I enjoy interacting with people on a day-to-day basis. I learn so much from their lives. I love teaching patients about preventive health and encouraging them and helping them how to lead a healthy life. Q: What led you to focus on your medical specialty in particular? A: I like the diversity in family medicine. It’s challenging, as you don’t know what you are going to walk into that day. Every day is different and I enjoy the learning it brings with it. It’s very rewarding to get to know your patients and their entire family and develop long-term, trusting relationships with your patients through continuity of care. Family medicine offers the chance to prevent, detect and intervene before any long term complications arises from a disease. I like to take a holistic approach and also love teaching my patients how to lead a healthy lifestyle and help them to achieve that goal by actively participating in making informed decisions regarding their health. 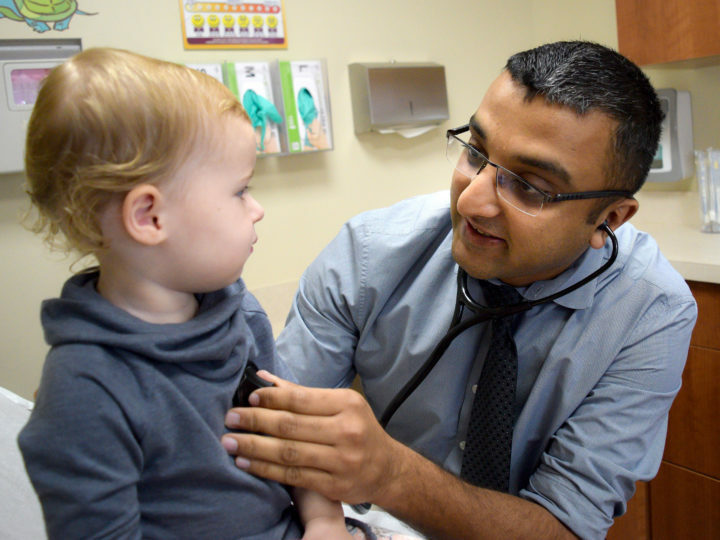 Q: What is your greatest strength as a family doctor? A: I am compassionate. I treat my patients with respect. I try my best to provide them with highest quality of care and involving them actively in making health-related decisions. I am an active learner, if I don’t have all the answers to my patient’s questions about a disease or a treatment, I make it a point to do research and try to share relevant information with them. Q: If you couldn’t be a physician, what career would you have chosen and why? A: If I could not be a physician I would have been a teacher, as I love teaching and learning new stuff myself. I love kids which is an added bonus if you are teaching kids. Both the fields allow you to make a positive difference in lives of people and cultivate a fruitful relationship. Q: What makes Morris Hospital special? A: Morris Hospital is a great place to practice. With the health industry changing so fast, Morris Hospital is still a small, family-oriented hospital with a feel of close knit family where you know and support each other. Working here gave me the opportunity to work with a group of super talented doctors, but what I appreciate most is that hospital really cares about patients, and provides excellent, compassionate and high quality care. Patients are just not the numbers and the hospital goes above a beyond to take care of their patients. Q: Tell us about where you grew up? A: I grew up in India where I went to medical school and then moved to US in 1999. I finished residency in Ohio in 2005, and since then I have been practicing medicine. Q: What is your favorite thing to do when you are not working? A: When I am not working I love to spend time with my family. I have a 6-year-old daughter at home who keeps us busy with her activities. We enjoy every single moment we get to spend with her. I also like healthy cooking, so we try cooking new healthy recipes at home. I also like to do reading to keep myself up to date in medicine. Dr. Shaily Macker sees patients at the Morris Hospital Yorkville Campus. For more information, visit his provider profile page, visit morrishospital.org/yorkville or call 630-553-4600 for a free meet-and-greet.